This hidden camera is the perfect choice for all home users even YOU. This camera is wireless which means that you do not need to run in the trouble of running cables or installing a DVR system. 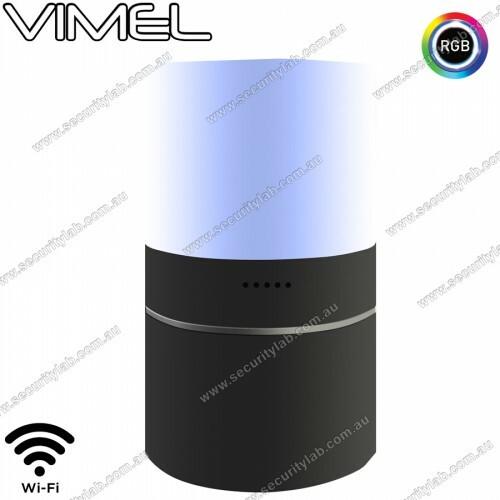 The LED functionality of this device allows this camera to portray an ordinary lamp, you have the chance to remotely control the camera and display the footage LIVE, the software allows up to 16 million choices of usable RGB colour input. Viewing footage at the resolution of 1080p will capture every aspect and detail at your desired location, connecting using WIFI has never been this easy before with just simple steps of setting up you will be ready to watch over your property like never before, with 330° rotatable lens you will feel assured knowing that you can spectate over the whole room without any doubts, in other cases motion detection is always there to back you up, an alarm notification will be sent to your mobile when any intrusion is occurring at your property. This camera can be used at any scenario, especially for parents who have young children, this camera is perfectly suitable as a Nanny cam, the safety of your children will be guaranteed with this camera by your side. Even at night when your child is sleeping built-in Night vision will be on during night to give you the ability to watch over your child at night. Are you looking for a perfect spy camera pen with advanced technologies? If yes, here..